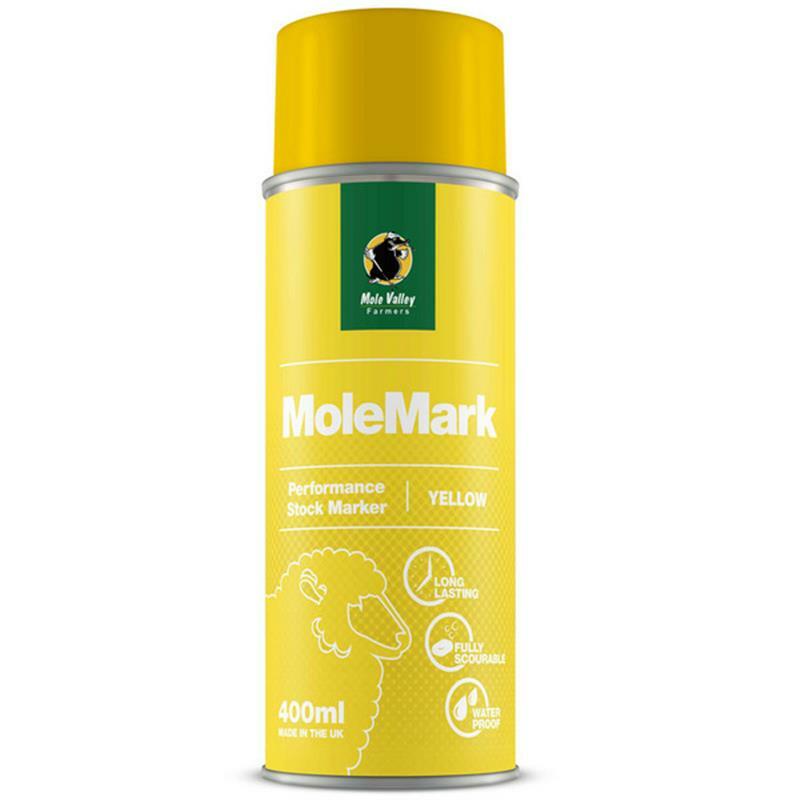 MVF MoleMark Marker Spray Yellow - 400ml. This product is a long lasting, fully scourable professional marker spray for UK sheep producers. It can be used on wet or dry fleeces with excellent marking definition and the nozzle has been developed for the prevention of any blockage. The spray has a combination of qualities including being waterproof, long-lasting yet fully scourable. In order prevent the spray from being transfer to multiple sheep; it has a rapid drying formulation.